A new study shows promise in managing pain without drugs for postmenopausal women with hormone receptor-positive breast cancer. A new study led by Dr. Dawn Hershman, an oncologist at NewYork-Presbyterian/Columbia University Irving Medical Center, shows that women facing painful side effects from a common cancer drug may have a nondrug option to help reduce their pain. 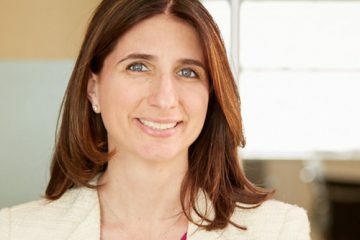 Dr. Hershman and her colleagues found that acupuncture, a traditional Chinese medicine technique in which thin needles are inserted through the skin to stimulate specific points in the body, decreased joint pain in postmenopausal women with early-stage breast cancer who were treated with aromatase inhibitors. The study was developed and managed by SWOG, the global cancer trials network funded by the National Cancer Institute, and recently published online in JAMA. Tens of thousands of postmenopausal women with hormone receptor-positive breast cancer (a type of cancer fueled by estrogen) take aromatase inhibitors, which block the effects of estrogen to prevent recurrence of the disease. While these drugs are effective and reduce the rate of recurrence, up to 50 percent of women who take them experience significant joint pain and stiffness, causing many to stop treatment. Previous studies have suggested that acupuncture can reduce joint pain and swelling related to aromatase inhibitor treatment, according to Dr. Hershman, but these studies were hard to interpret because they were small and limited to single institutions. 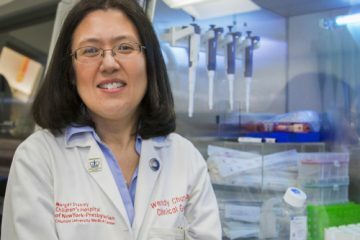 With this in mind, Dr. Hershman, who leads the Breast Cancer Program at the Herbert Irving Comprehensive Cancer Center at NewYork-Presbyterian/Columbia, and her colleagues set out to determine whether acupuncture could help reduce the pain for women with early-stage hormone receptor-positive breast cancer. The results of the study, presented at the San Antonio Breast Cancer Symposium this December, indicate acupuncture could provide pain relief for these women. In a large, randomized, multi-center trial, designed by Dr. Hershman and colleagues and conducted from May 2012 to February 2017, 226 patients with early-stage hormone receptor-positive breast cancer who were being treated with aromatase inhibitors were randomly assigned to either true acupuncture; so-called sham acupuncture, in which a needle is used but not inserted as deeply; or no acupuncture. All the women had reported having significant joint pain on the Brief Pain Inventory-Short Form (BPI). The BPI is a self-administered 14-item questionnaire designed to assess pain on a scale from zero to 10, where higher scores indicate more pain. The researchers used the patients’ reported “worst pain” as the primary measure. The patients were monitored for another 12 weeks after stopping acupuncture treatments, and reported on their pain using various methods, including the BPI, over 24 weeks. On average, patients who received true acupuncture reported experiencing less pain and stiffness — even after they stopped receiving acupuncture. After six weeks, patients in the true acupuncture treatment group reported significantly lower BPI “worst pain” by nearly a point compared with those who received sham acupuncture and no acupuncture. The improvement in mean BPI “worst pain” score for those receiving true acupuncture remained significant compared with the other two groups’ scores over 24 weeks. The most common adverse event reported among those receiving true and sham acupuncture was bruising. “The study shows that when assessing pain and stiffness, true acupuncture is effective in reducing pain: when it’s given twice a week, when it is maintained afterwards at once a week, and it is effective even after patients stop the acupuncture treatment,” says study co-investigator Dr. Katherine Crew, director of the Clinical Breast Cancer Prevention Program at NewYork-Presbyterian/Columbia and a SWOG executive officer. According to Drs. Hershman and Crew, many patients don’t want to take additional medications to relieve symptoms caused by aromatase inhibitors. Another of their aims was to underscore acupuncture’s utility so insurance companies would come to accept it as a legitimate form of pain management.